After receiving her nursing degree from the University of Connecticut, Ms. Clemons pursued additional training and received her Family Nurse Practitioner Master of Science degree from the University of Massachusetts, Lowell, MA. 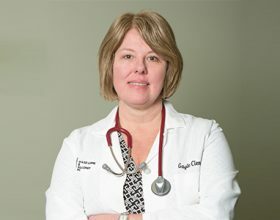 She has been a Nurse Practitioner for 21 years, the past 7 of which she has worked with Dr. Schaefer in the field of pulmonary medicine and allergy. In addition to seeing adult and pediatric patients with a variety of pulmonary and allergy problems. Ms. Clemons currently coordinates all allergy testing and allergy immunotherapy at our Worcester office.